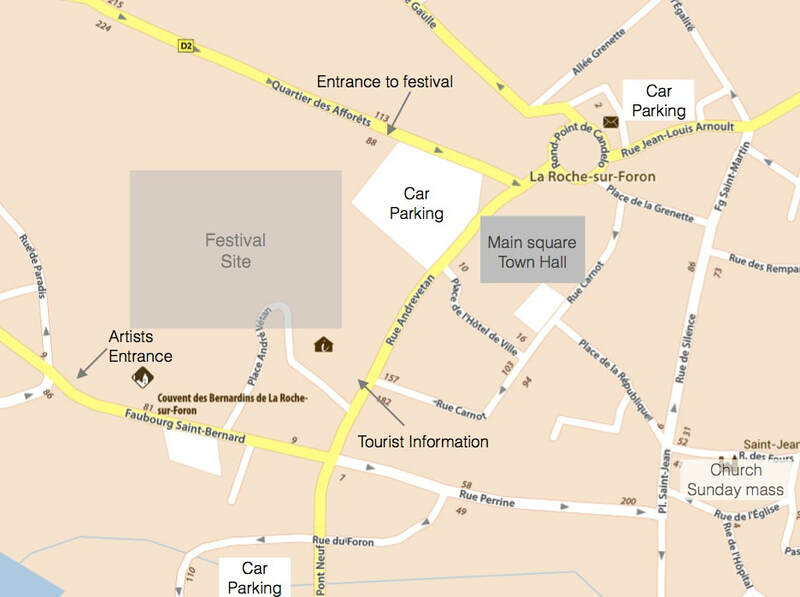 La Roche-sur-Foron is a thriving market town. In summer the flowers are out, the restaurant and bar terraces are busy. The town is small enough for everything to be within walking distance. 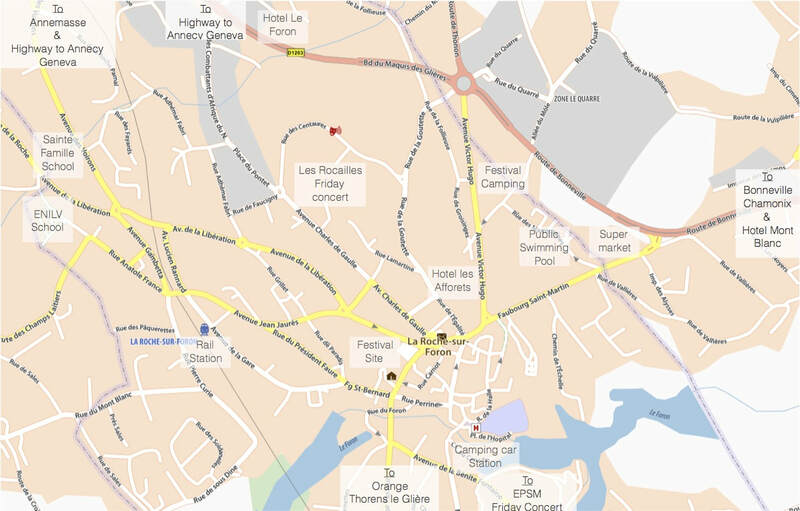 There are plenty of bars and restaurants in La Roche town centre. During the festival there will be live music around town as professional and amateur musicians meet and jam wherever they can find a place. It is probably better to reserve during the Street Festival Wednesday evening and Friday lunchtime. The gift shops and clothes shops are all private businesses selling original quality products (you won't see any of the usual high street brands). Feel free to browse, our shopkeepers will be happy if you stop by and say hello. There are some lovely walks to be had starting from the town. The Tower of the Geneva Counts is a must see with stunning views towards the Alps across the Arve valley; the sign posted walk through the medieval town centre with its family game "The Unicorn Challenge"; the Benite Fontaine with its tiny chapel and spring water source. Ask for information at the Tourist Information Office. They will also tell you about other walks you can do starting from La Roche or nearby in the mountains, on foot, mountain bike or horse back. If it gets too hot the municipal swimming pool is a short walk from the centre.